TelcoBridges Q&A: What are the advantages of TelcoBridges’ unique programmable routing script? A compelling facet of our Tctrl software is its unique programmable routing script, part of what is considered one of the best call routing engines in the industry. Tctrl currently powers our Tmedia Gateways and our TSBC5000 Session Border Controller. We asked Sylvain, one of our engineers, to explain. Q: What are the advantages of TelcoBridges’ unique programmable routing script? A: When we first developed our routing engine, we didn’t know what routing algorithm to implement first: asr routing, least cost routing, etc. And, from our experience working with operators, we suspected that most would want to be able to modify and adapt, create something specific for their internal business logic. So we developed our routing engine based on ruby routing scripts for the flexibility it provides: we can implement virtually any routing scheme/ we can manipulate any call parameters, like SIP headers for example/ and we can customize our standard routing algorithm to match exactly their needs. 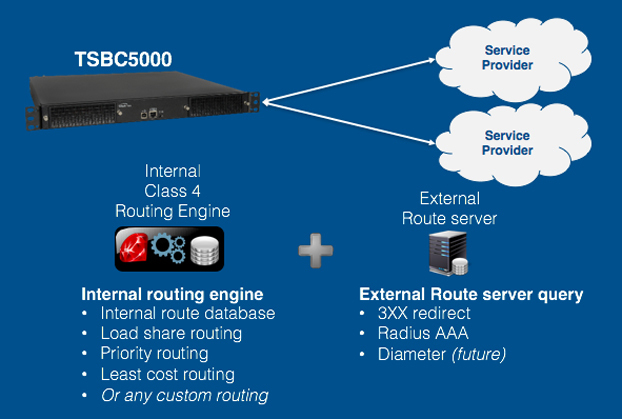 Learn more about our carrier grade Tsbc session border controllers here. Previous Previous post: TelcoBridges Q&A: How does TelcoBridges handle High Availability?